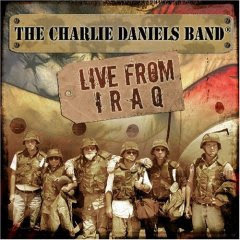 Hall of the Mountain King: Review: Charlie Daniels Band - "Live From Iraq"
At the age of 70, Charlie Daniels shows no signs of slowing down on his latest record, "Live From Iraq." The ever-patriotic Daniels has always been vocal in his support of the troops, and on this record, he takes the stage like a fire-and-brimstone preacher delivering the gospel. It's perhaps one of the most animated and energetic performances that Daniels has given in a long time, and you can tell he's in his element waving the red, white and blue. The record showcases his multiple talents, ranging from the Southern rock of "The Legend of Wooley Swamp" to the gospel tune "How Great Thou Art," to the Cajun-flavored fiddle lines of "Drinkin' My Baby Goodbye" to the free-flowing jazz jam of "Floreeda Road." Daniels has never been a one-trick pony. The best performances here are his theatric version of "Wooley Swamp," the controversial "Simple Man," a bluesed up version of his classic "Long-Haired Country Boy" (a personal anthem of mine) and of course, Daniels' signature song and finale, "The Devil Went Down to Georgia." He also caters to the crowd of soldiers with a couple of verses of a new tune called "Iraq Blues." 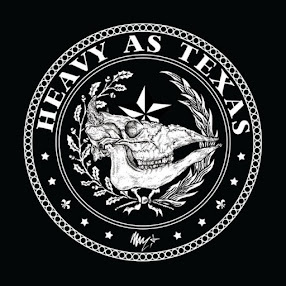 Rarely do live albums really excite me, but this is one heck of a performance that will make you feel like you're there. The CD also contains a DVD that features interviews with soldiers, a look at the everyday lives of soldiers in Iraq and footage from Daniels' visit.